Visit Long Islands most Spectacular Golf Courses in Comfort and Style. We offer Transportation to all Golf Courses in Long Island, NY. We have Vans, Buses, Limo Buses, Party Buses, Shuttle Service, Stretch Hummers, Cadillac Escalades, Rolls Royce’s, Antique Vehicles, absolutely EVERYTHING for your Golfing Transportation desire... We offer the most competitive rates on Long Island and will beat or match any Competitors LEGIMATE written proposal. In need of a personal Caddy for the day. Why not hire us for the Transportation and utilize our Chauffeur as your own personal Caddy. The staff at Metro Limousine Service is professional, courteous and ready to service our customers not just for transportation but on the course and green as well. By combining the best of a modern fleet with old-fashioned service you are sure to enjoy the Choice of Transportation that Metro Limousine Service provides in Long Island, NY. Call us for further information in Long Island, NY. 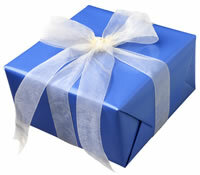 We offer Gift Certificates for the Holiday’s or any occasion.